HELP! 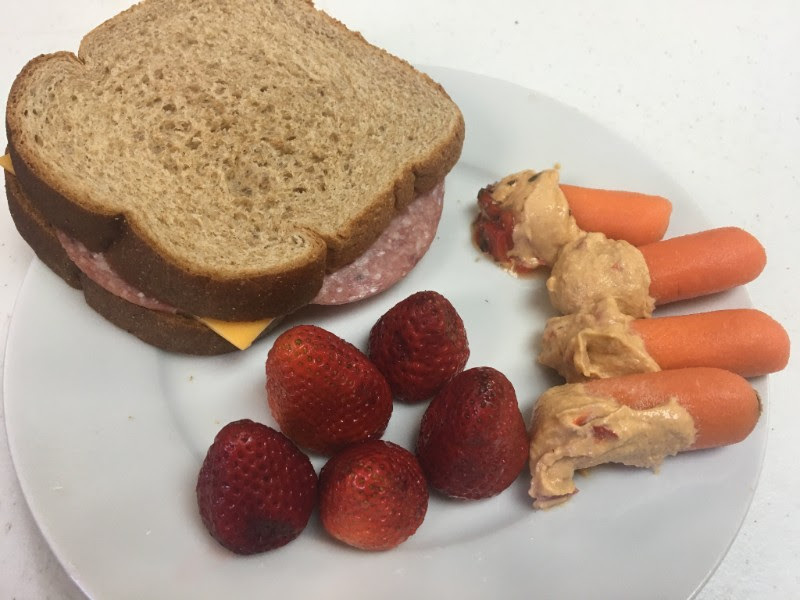 MY KIDS WON’T EAT GOOD FOODS! This is a subject we talk a lot about out the gym. How do we get our kids on board with making healthy choices too? I get it! I have 3 girls and I want to teach them to have a great relationship with food, educate them on what to eat and how to enjoy foods too! I want to teach them to listen to their bodies. I want them to experience, for themselves the energy of nutrient dense foods versus the heaviness and sluggish feels of junk foods and empty calories. I know they won’t always make the best decision, and I know there’s peer pressure everywhere they go. I know I can’t be there every moment to help them make every decision. I strive to teach them balance. I strive to teach them to enjoy the food when at parties but do not over indulge. Just eat a little bit, enjoy it, and then go play! I strive to teach them to enjoy PEOPLE, FRIENDS and COMPANY over all the foods and drinks. Parties are about relationships, food is secondary. What’s a Protein, Carb and Fat? We help our kids identify sources of each. We even teach them how to read the label for these 3 macro nutrients. But to start, something as simple as “Chicken is a Protein”, “Rice, Potato, Fruit and Bread are Carbs” and “Nuts, Avocados and Butter are Fats” is a great start. Eat when your body tells you you are hungry and stop when you are satisfied. And when you’re hungry just sit and eat a meal. We don’t do “snacks”. 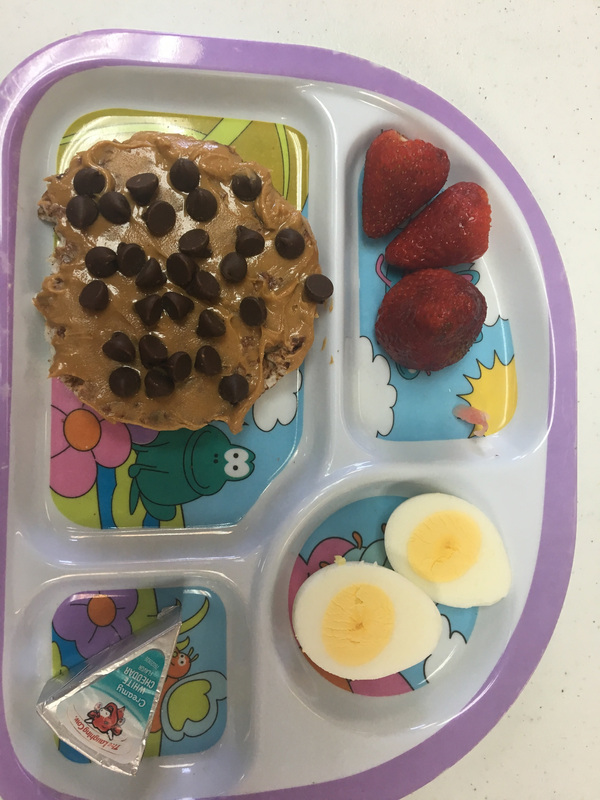 Let your kids make their own plates. We like to use trays and help them make a balanced plate. We say to pick a protein, carb and fat. This works great for lunch because they get to pick whatever sounds good to them and not whatever Mom made them. I’m giving them the power of choice, so long as it follows our healthy plate rule of “protein + carb + fat”. So keep your kitchen well stocked with great choices, and they will more often than not, make great choices. No food in our house is “off limits”, for the most part. You want chips? OK, but that will be your carb and fat. You want a homemade cookie with your lunch? OK, but let’s add some protein and a veggie. We keep the less than desirable food choices in the home to a minimum. For instance, I may buy ONE bag of chips for the week. When they are gone, they are gone. We will occasionally make homemade cookies. They may have one a day until they are gone. So, these foods are not off limits BUT they are in very small quantities in the house. REMEMBER: kids will most likely do what what we do. So make sure you are being a good example and leading them to think thru their choices and decisions. We do this with other areas in life, so why not with nutrition too?Interested in learning more about Nutrition for Life? Our nutrition coaches are ready to help you find a way of eating that meets your lifestyle and your palette. Do it for your kids too! CLICK HERE to schedule a no obligation (what-so-ever) goal setting appointment.